HAVE YOU been watching Outlander? It’s on Amazon Prime and I don’t normally watch Sci-Fi but I sort of got drawn into this one. It’s about a woman who, on her honeymoon in Scotland just after the 2nd World War, visits a mysterious ancient stone circle and is transported back to 1743 (I’m sure it happens all the time). She finds herself embroiled in the build-up to the Jacobite Rebellion. Coincidently (or not) she meets up with an ancestor of her husband’s who turns out to be a nasty piece of work (the ancestor not the husband). She ends up with a motley bunch from the Clan Mackenzie but marries Jamie, a member of the Clan Fraser (it’s complicated). The lawyer in me idly wondered if you could be guilty of bigamy if you married ‘again’ but some 250 years before your first husband was born …. Now, about the future …. Just in case one or more of you may also have recently appeared from another time warp, the Jacobites (Jacobus – Latin for James) were supporters of Charles Edward Stuart (aka Bonnie Prince Charlie ) and his desire to regain the English/Scottish throne for the Stuarts. The Stuarts came to the English throne under James I (formerly known as James VI of Scotland) following the death of Elizabeth I (who left no Tudor heirs). The Stuarts reigned until the Glorious Revolution of 1688 when Parliament passed legislation prohibiting Roman Catholics from the throne of England, Scotland and Ireland . James II was accordingly deposed as king as a result. The Stuarts sort of continued (as queens) with James’ daughter, Mary (II) and her husband, William III (of Orange) (both Protestants) and thereafter Anne II (Mary’s sister). The Stuart line then came to an end on Anne’s death in 1714 and along came the House of Hanover with George I. 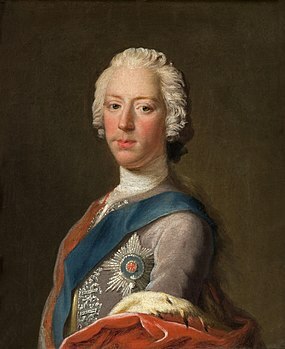 At the time of the Jacobite Rebellion of 1745, George II was on the throne. Anyway, back to Outlander. I think I can see where this is all going (although I have not yet finished the 1st series and the 2nd series has not been completed and I have not read any of the 8 books – yes 8!). At some point it’s going to encounter the infamous Battle (or massacre) of Culloden in April 1746 …. and will reflect on who of our Scottish ‘heroes’ gets killed. Will Jamie or wont he? Will any of the motley Mackenzies survive? Bearing in mind that the total number of Jacobites killed was between 1500-2000 out of some 6000 (compared to the Government losses of about 50) you may want to work out the odds. There’s just one issue – and I don’t want to spoil it for you so, SPOILER ALERT – for those of you who have not turned away: none of the Mackenzies were at Culloden. This was because they had already been attacked and defeated by the pro-British Government force, the Mackay and Sutherland Independent Highland Companies, at the Battle of Littleferry (aka skirmish at Golspie). This prevented the Mackenzies from an appearance at Culloden (probably just as well for them). 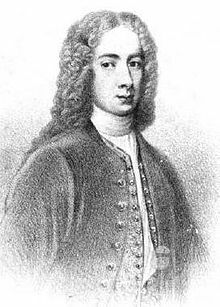 Soon after the Littleferry fracas, George Mackenzie, 3rd Earl of Cromartie, and his son were captured at Dunrobin Castle and the Earl was sentenced to death but pardoned with his title forfeited. Some other Mackenzies, including a Kenneth Mackenzie, Lord Fortrose, actually took the side of the British Government. No mention of Outlander’s Colum or Dougal Mackenzie. The Frasers of Lovat were at Culloden. The Chief, Simon Fraser, the 11th Lord Lovat, was captured, tried for treason and executed in London the following year. His son, also Simon, escaped and was later pardoned (then joined the British forces in the fighting in Canada in 1750 – a ‘turncoat redcoat’). Charles Fraser was killed at Culloden; David Fraser of Glen Urquhart (who was deaf and mute) was captured and died in prison; John Fraser (‘McIver’) was wounded and put before a firing squad but a sympathetic British officer, Lord Boyd, who had seen enough killing, rescued him. Good man, Boyd. The Fraser’s residential home, Castle Dounie, was burnt to the ground. But no mention of Outlander’s Jamie Fraser …..
What do you mean, didn’t I know it’s only fiction? The Jacobite Rebellion was not fiction; Bonnie Prince Charlie was not fiction; time-travel was not ….. okay, some of it may be fiction. My maternal grandmother was convinced that she was a distant relative of Bonnie Prince Charlie – along with hundreds of others I suspect – but I can’t remember why she had that belief (I thought you would like to know that – now you know were I get it from ….). The monarchs of England and Scotland came together as monarchs of Great Britain under the Acts of Union 1707 (but you knew that). When I wrote the above post I was about three-quarters the way through the series of Outlander and it was plodding along quite slowly but quite amicably. I have now seen it to the end. Really, the last two episodes are rather unnecessary and not recommended viewing in my opinion. It all ends with somewhat of an anti-climax and we are not yet at Culloden. And yes, our heroine is intent on trying to change the future (or is that the past? ); and no, I probably won’t bother with the 2nd series. A police officer colleague of mine told me of a time when he was waiting in a lay-by on the A22 ready to catch speeding drivers. He saw a car puttering along at well under the 30 mile per hour limit. Says he to himself: “This driver is just as dangerous as a speeder!” So he went in pursuit of the car and pulled it over. My colleague, trying to contain a chuckle, explained to her that A22 is the road number, not the speed limit. 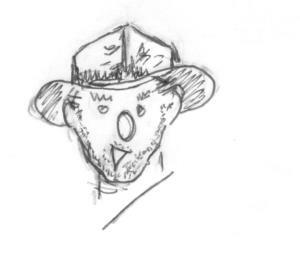 A bit embarrassed, the lady grinned sheepishly and thanked him for pointing out her error. Glad to see that Dr Smith is back!